The top five players in the UK online poker rankings all enjoyed big scores last week. "LordZeus11" has entered the Irish top 20 this week, the player from Galway has almost $290,000 in winnings. The top five players in the United Kingdom online poker rankings, provided by PocketFives.com, may still be the same five stars as last week, but they all enjoyed some success at the virtual felt and gave their points tallies a boost. Still top is the UK-based Belgian “girafganger7” who is the only player in the UK & Ireland top 20 with more than 10,000 points. 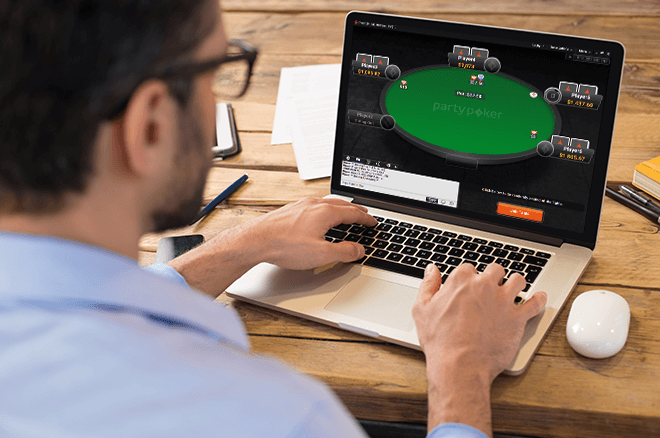 Girafganger7 helped himself to a $16,387 prize by winning the partypoker High Roller Gladiator: $50K Gtd, followed that up with a runner-up finish in the partypoker Powerfest 06-H: $100K Gtd PKO Fast 8-Max for $9,923 and rounded things off with a $59,925 score by being the fourth-place finisher in the Powerfest 03-SHR: $500K Gtd 8-Max event. Patrick “pleno1” Leonard cashed in the same Powerfest 03-SHR: $500K Gtd 8-Max event as girafganger7 except for the former world number one fell in 11th place for $15,651. Current UK number three Conor “1_conor_b_1” Beresford has also been grinding the partypoker Powerfest events and bagging himself some $7,500 and $8,500 prizes. Beresford also locked up a $27,342 prize for finishing third in the PokerStars $1,050 Sunday Supersonic 6-Max in addition to winning $158,750 in a $1 million guaranteed Powerfest event, although it came too late to be counted in the latest database update. Jonathan “proudflop” Proudfoot has also been a busy lad, one scooping in big prizes like they are going out of fashion. Proudfoot won the partypoker High Roller Terminator for $13,340, finished fourth in the PokerStars $1,050 Sunday Warm-Up for $23,696, was the fifth-place finisher in the partypoker Powerfest 06-HR: $500K Gtd for $42,300 and secured a $20,545 prize for finishing third in the partypoker Powerfest 15-HR: $150K Gtd PKO 8-Max! Other five-figure prizes went to Jon “luckyfish89” Clark who won the partypoker Sunday Clasico for $13,815, to Patrick “thebigdog09” Brooks who netted $23,516 by finishing third in th partypoker Powerfest 25-HR: $150K Gtd PKO Fast, and Scott “Aggro Santos” Margereson who walked away with prizes of $29,076 and $13,815. There’s a new name in the irish top 20 this week, that of “LordZeus11” from Galway. They’ve debuted in 20th place, knocking Team partypoker pro Louise “Lou045” Butler out of the top 20 for the first time in several months. LordZeus11 has almost 2,000 online poker tournament cashes with almost $290,000 in winnings. At the other end of the table, Ronan “Sw33ney” Sweeney won the partypoker Deepstack: $30K Gtd for $5,998 while former number one Dan “NukeTheFish!” Wilson helped himself to the $6,195 top prize in the PokerStars $109 NLHE 6Max Hyper Turbo. Sean “monkeybudgie” Prendiville’s runner-up finish in the Hotter $82 was worth $4,577 with Kevin “SuitedacesBaby” Killeen locking up $5,000 for his seventh-place finish in the PokerStars $1,050 Thursday Thrill. Another decent score went to Sven “SvenCalls” McDermott who won the partypoker Terminator: $50K Gtd for $8,464 while Brendan “daehbonk” Naughton won both the Big $33 at PokerStars for $785 and the partypoker Bounty Hunter: $15K Gtd for $2,396. Shout-out also to Rory “Reesy” Rees whose fourth-place finish in the PokerStars High Roller Club: $530 Omania High Roller netted him $6,768 then he went and finished fifth in the same tournament a few days later for $3,455.